Carbon Emissions 101. 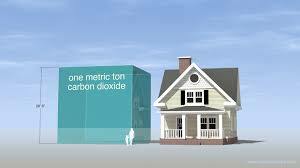 There are both natural and human sources of carbon dioxide emissions. Natural sources include decomposition, ocean release and reparation. For an easy to read primer on the ever increasing human sources of carbon dioxide emissions, click here. Quick question? Email us at sustainablemadisonnj@gmail.com or click on the mail icon at the top of the page!